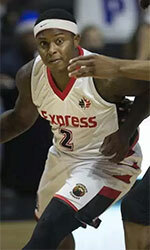 Sichuan Blue Whales (CBA) agreed terms with 26-year old American shooting guard Jamaal Franklin (196-93kg-91, college: San Diego State) from Shanxi Brave Dragons. 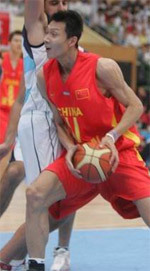 In 36 CBA games in China he had very impressive stats: 33.6ppg, 10.3rpg, 8.8apg (leader !!! ), 3.3spg (leader !!!) and 1.2bpg last season. A very spectacular year in his career as he was named to Asia-Basket.com All-Chinese CBA 3rd Team. The previous (2016) summer Franklin played at Brujos in Puerto Rican BSN where in four games he recorded 12.0ppg, 5.8rpg, 6.3apg and 1.0spg in 2016 season. In 2013 Franklin was drafted by Memphis Grizzlies (NBA) in second round (41st overall). He attended San Diego State and it will be his fifth season in pro basketball. The list of the past achievements is quite long as among others Franklin's team made it to the MWC Tournament Semifinals in 2013. He was also voted All-MWC Player of the Year back in 2012 at his college time. Franklin's career allowed him to visit three different continents. He tasted the life as pro basketball player in Asia, Latin America and of course North America. Franklin has played previously professionally in NBA (Denver Nuggets), China (Guandong Tigers and Zhejiang Guangsha Lions) and NBA G League (Los Angeles D-Fenders and Fort Wayne Mad Ants).